With the growing Bitcoin adoption, more and more people willing to buy Bitcoin are wondering why they should provide personal data and prove their identity to purchase cryptocurrency. In this article, we will try explain why legitimate Bitcoin services request information from users, how it happens on CEX.IO and why you shouldn’t be afraid of that. Why Do I Need to Provide Documents to Buy Bitcoin? So, you have decided to buy Bitcoin but were asked to submit a range of documents proving your identity. What is the reason for such a request? The thing is, any trusted Bitcoin exchange is willing to operate within the legal guidelines. And though Bitcoin regulation is still under development, all governments are sure they wish to prevent money laundering within Bitcoin network. Thus, although it will definitely be a difficult task to get a legal handle on Bitcoin over the long term, regulators can still have a bit of control when it comes to the entry points and exit points of the Bitcoin ecosystem. Gathering information about customers is usually regulated by AML/KYC policies of each Bitcoin company. What are KYC and AML? KYC (Know Your Customer) and AML (Anti Money Laundering) regulations are used to make sure that people are not allowed to move around money in an anonymous manner. These regulations apply not only to Bitcoin exchanges, but also to banks and other financial institutions. The main point of these laws is to collect information on customers and their transactions. Law enforcement often follows the money flows, so these regulations are used to make sure that terrorists, drug dealers, and other types of criminals are not able to fund their activities behind closed doors. How Do These Regulations Affect Bitcoin? While these regulations don’t really affect anything at the protocol level, they have definitely had a huge impact on exchanges and other Bitcoin businesses. Legitimate Bitcoin exchanges now have to collect information about users and their transactions through special verification procedures. Furthermore, geographical coverage for exchanges is under regulation as well. For example, some countries, such as Iceland, restrict Bitcoin marketplaces. Or, Bitcoin exchanges now cannot operate in some US States without a special license. As a rule, the information comes in a form of verifying person’s identity and providing scans of government-issued IDs, proof of residency etc. Each well-established Bitcoin exchange has a compliance team that checks these documents according to AML/KYC policies. Not collecting various forms of identification on customers who are depositing large sums of money can actually be considered a crime, as we saw in the case of Charlie Shrem and BitInstant. These regulations have definitely stalled development of different kinds of Bitcoin companies, especially in the United States where businesses are required to gain a money transmitter license in every state where they wish to do business. Strange as it may seem, Bitcoin anonymity can now be questioned. Any fiat currency is processed by the bank. Bitcoin can exist on its own, but the value of this cryptocurrency is that you can exchange it into fiat currencies, such as USD or EUR. Such a transaction directly involves banks. Banks, in their turn, require transparency from Bitcoin exchanges. Moreover, there are special programs allowing to track Bitcoin transactions history. Some authorities are even building their own systems to analyze transactions and detect crimes. We can see it on the example of Danish police that recently became the first to jail drug traffickers by analyzing their Bitcoin transactions. Literally, CEX.IO AML/KYC policy allows supporting mutually beneficial and secure relationships between CEX.IO, its users and governments.You can read the full policy here. This is very easy and is nothing more than linking your card to CEX.IO profile. You can use any debit or credit card in any currency you want (USD, EUR, GBP or your local currency). Using a verified card, you can deposit and withdraw up to $500 daily and $2,000 monthly. To complete verification, simply take your VISA/MasterCard, provide standard card information and prove that you own this card. It is very similar to making purchases on the web using your credit card. But, in this case, you need to upload additional photos to prove card ownership. This is a part of KYC policy and made for the sake of your security so that no one steals and uses your card on our platform. This step-by-step guide will come in handy. If the data you entered is correct, and you provided high-quality photos, card verification will take no more than 5 minutes. 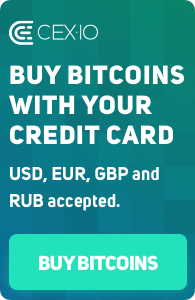 You have to link the card only once and use it later for instant Bitcoin purchases. Each another card though requires completing card verification again. You can see all your linked cards in Card Manager and choose any of them to complete future purchases. In fact, it is nothing more than providing some personal information and supporting documents, such as your ID and proof of residency. You can be patient about the safety of your data, as it is strongly encrypted. Moreover, each photo submitted during the verification process is encrypted with a separate encryption key. 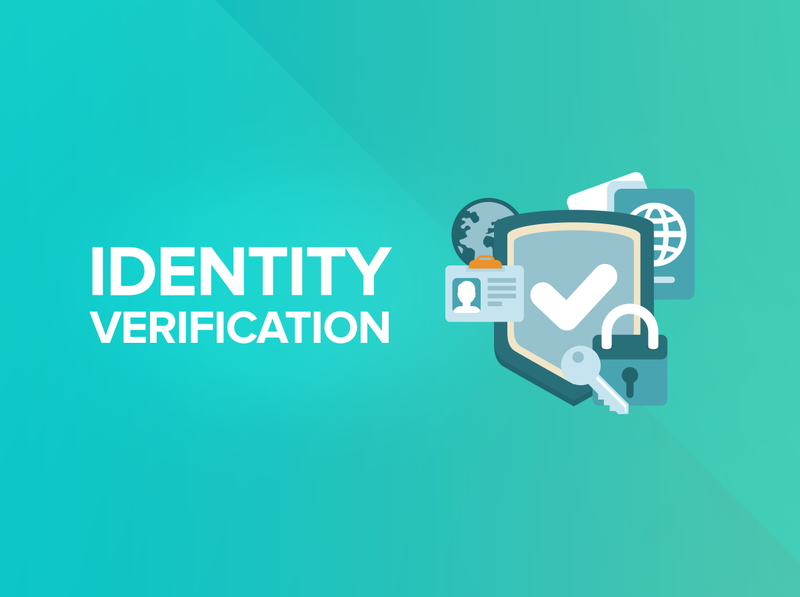 We highly recommend completing identity verification, so that you could use CEX.IO services in full. To successfully complete verification, you can use this guide for detailed instructions. And do not hesitate to contact our support team at any moment in case you have any questions. Within CEX.IO account type system, you can raise your limits even more by upgrading to Verified Plus and Corporate accounts. Verified Plus account type is perfect for individuals with high turnover and implies unlimited deposits and withdrawals. If you want to act as an institution, we recommend upgrading to Corporate account. This will allow you to use a corporate account, enjoy unlimited deposits and withdrawals, priority support, as well as custom trading conditions. Although these procedures might sound complicated, we did our best to make them simple and intuitive. Moreover, our support team is ready to help you 24/7 with any questions. When providing data and documents to a Bitcoin exchange, you obviously want to be sure that you are dealing with a legitimate business. You can be patient about that with CEX.IO. CEX.IO LTD is officially incorporated in London, UK, and operates under the legislation of the United Kingdom. Operating since 2013, we have been one of the first players of Bitcoin market and won trust of over 800,000 users from all over the world. The company is registered with the Information Commissioner’s Office (United Kingdom) as data processor and controller under registration reference ZA059396. The British ICO is an independent authority set up to uphold information rights in the public interest, promoting openness by public bodies and data privacy for individuals. Registration within ICO means we comply with the European legislation on personal data privacy. In 2015, CEX.IO entered the American market by obtaining an MSB (Money Services Business) status in FinCEN, a bureau of the U.S. Department of the Treasury. As a registered MSB, CEX.IO has proven that the company complied with the Bank Secrecy Act requirements applicable to financial institutions as well as to each of the specific requirements applicable to MSBs. Due to MSB status, CEX.IO is eligible to provide money deposits and withdrawals for US customers from those states that either do not require additional Money Transmitter License from Bitcoin companies, or those who are only in process of developing Bitcoin regulation policies. CEX.IO is under process of obtaining MTL licenses to broaden service coverage in other US states as well. CEX.IO exchange implements the highest security standards, including DDoS attack protection, Two-Factor Authentication, SSL certificate, cold storage for cryptocurrency funds, etc. Throughout the history of company, CEX.IO has never been hacked. And none of our users has ever experienced account funds theft. Finally, CEX.IO possesses a Level 2 PCI DSS (PCI Data Security Standard) certificate allowing the company to store, process or transmit cardholder data of our users. This means that card data you submit on CEX.IO is strongly encrypted and safe. This is extremely important, as card payments are the most popular option on the platform.